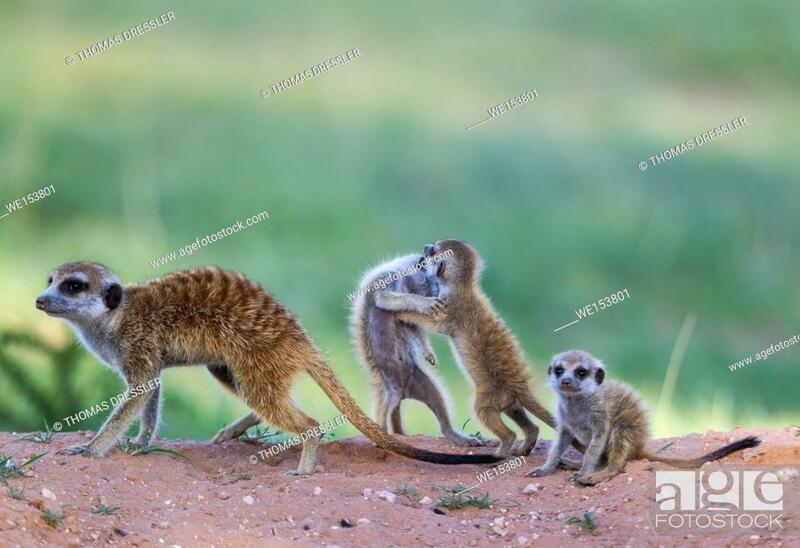 Foto de stock - Suricate (Suricata suricatta). Also called Meerkat. Female with three playful young in the evening at their burrow. During the rainy season in green surroundings ... . Kalahari Desert, Kgalagadi Transfrontier Park, South Africa.